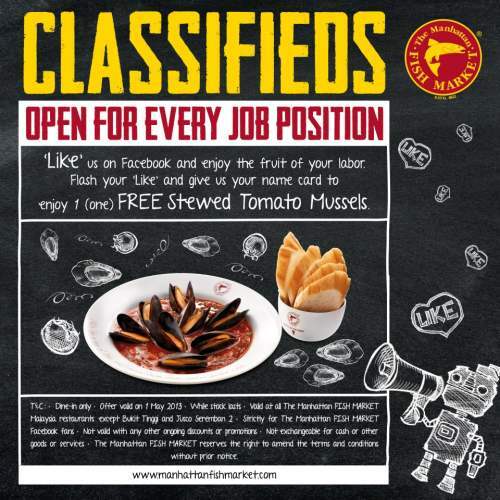 Giveaway location: Valid at all The Manhattan FISH MARKET Malaysia restaurants except Bukit Tinggi and Jusco Seremban 2. 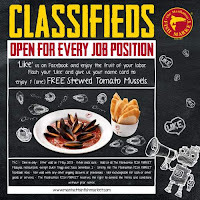 Show your name card and get a FREE Stewed Tomato Mussels on Labor Day! This offer is for dine-in only. While stock lasts!